White Label Property Co-Marketing System puts you in control, to leverage your relationships with Agents & FSBOs. Write more loans with the SPS Mortgage Marketing Solution - MoreLoans4U - a unique white-label property co-marketing solution for individual Loan Officers or lending companies, based on the SPS platform. Give every REALTOR access to a complete real estate marketing solution for marketing their listings using the latest marketing systems including Single Property Websites. SPS MoreLoans4U is a complete property co-marketing program that's branded as your service. You will automatically be co-marketing every property - and capturing financing leads. When working with Agents, you can provide an entire turn-key 'done-for-you' service to them, or, you can let them login to your account where the service is branded as YOUR service, and then they can use SPS property marketing tools themselves. It's very easy to use, and highly automated, whilst keeping you firmly in control of your policy and compliance needs. Work with as many Agents and FSBOs as you need starting at $49 per month. Multi-user solution for your whole company keeping you in control of your policy and compliance needs. One solution for you whole company, Loan Officers and Agents. MoreLoans4U makes it easy for you to transform Agents into loyal referral partners. Provide Agents with a complete Real Estate Marketing solution. Tools include single property websites, listing presentations, YouTube videos, social media promotion, craigslist flyers, virtual tours, open house registration forms and feedback - and a lot more! Webinars and Presentations provide a complete done-for-you listing toolkit that will help any Agent win every listing. Automated property marketing ensure listings get maximum exposure. Build relationships with Agents and FSBOs. Create a predictable and affordable marketing program to generate quality leads. Transform every listing into a lead generation machine for you. White label is all about 'you', not about 'us'. 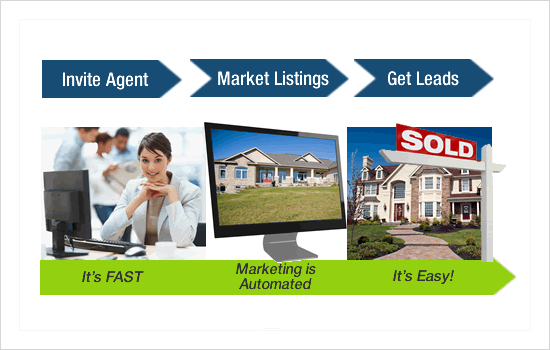 Agent marketing tools and resources from SPS are made fully available to all your Agent partners, helping them to win listings and then automate property marketing to get listings sold faster. As a loan officers its easy to invite and add agents to your account. Automated property import and sync services make the system highly automated for you. 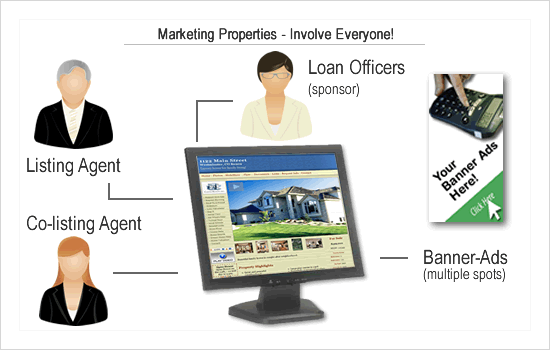 Loan Officers are shown as Sponsors on all property websites - it's all automated, and you stay in control. Provide a high-value marketing and referral partner marketing solution for all your LOs. White-label hierarchical solution allows you to brand this as YOUR solution and helps you with control and compliance.